Dragon #5 is a nocturnal, feathered, female. Name That Dragon! Yesterday's choice was tough. The judges had me read off the names a couple of times in order to pick just the right one. They picked the first name entered, "Swumpmunger," submitted by 'Q.' Congratulations Q! That dragon certainly looks like a Swumpmunger to me! I've noticed there are fewer players each day, I can only assume you are overwhelmed by the awesome responsibility of naming these dragons. It's a tough job, but I appreciate those of you brave enough to enter. Keep those names coming! Geriel or Jeriel. How many more dragons will we get to name? Oh, c'mon: this one is clearly Drakkar Noir. Dragon like that needs an x in its name. Lupa, Majesty of the Night. Sasha Queen of the Diamond Stars. I'm going to second "Night Blade"
Are we allowed more than one guess? 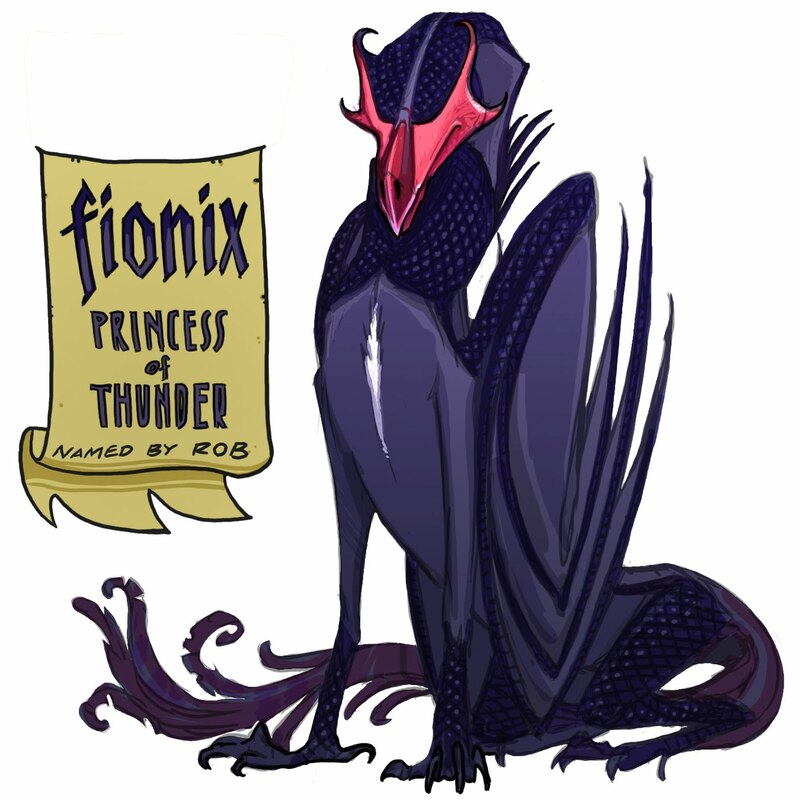 Rob says, "Fionix, Princess of Thunder"
I thought of: Redtooth, Darkclaw, Hisk, and Killconey.